You can use any square for checking a chisel, but they're usually too long to clear the handle, not wide enough to make it easy to align to the edge and generally poorly designed for the job. That's why Woodpecker came up with the Mini Square. At 1-1/8" x 2", inside dimension, it is absolutely perfect for checking the edge of your cutting tools for square. Light weight, easy to grip and machined from aluminum so it can't chip your tools. The dark red anodized finish makes it easy to detect any gaps. Fits in your pocket or its own custom fitted tray. Made in USA. Guaranteed Accuracy. 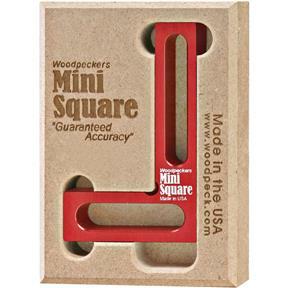 Woodpecker is so confident that their Precision Aluminum Squares are the best, most accurate square you'll own, they cover them by a Lifetime Guarantee to stay square to within a minimum of .001" or they'll replace it. 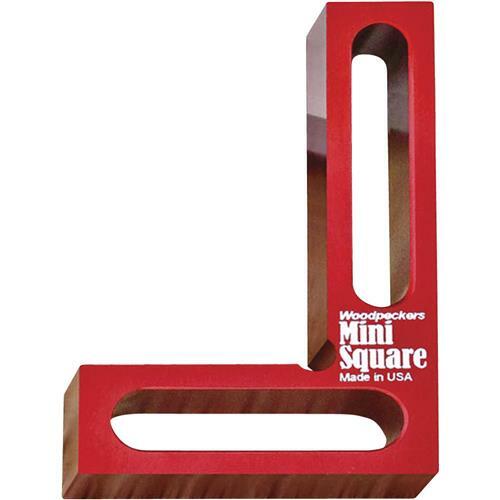 If for any reason, your square isn't, simply return it to them for immediate repair or replacement.